Tim Cook and Apple’s financial team will be paying particular attention to the company’s bank balance over the next few weeks as we approach what is sure to be a highly lucrative time for the Cupertino-based company. A number of Apple products are likely to be placed high on the wish list of exciting shoppers this festive season, with the Apple Watch being one of the most sought after pieces of tech. Shoppers on a budget will be pleased to know that a number of retailers are offering appealing deals on the Apple Watch, with Best Buy positioning itself as the go-to-place for those looking to grab the best Apple Watch deal, one that we have not really seen in the short history of the wearable. Best Buy wants its stock of Apple Watches flying off its shelves, and to make sure that this happens, the shopping behemoth is offering a whopping $100 off on any Apple Watch Sport or Apple Watch (stainless steel) configuration. This will see a staggering 20 different combinations of the Apple wearable being heavily discounted. Best Buy is one of those retailers that does not mess around when it comes to deals being pushed to eager shoppers. The discount means that the smaller 38mm Apple Watch Sport models will start to sell for just $249 compared to the original $349 price tag. 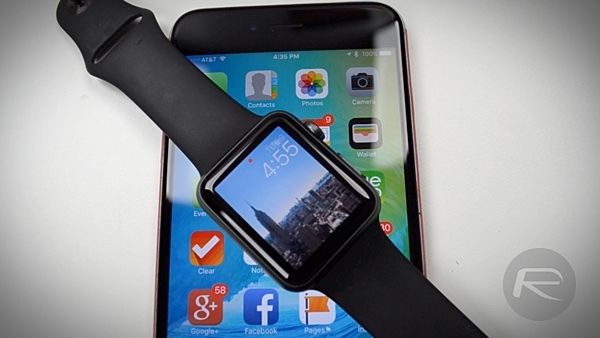 The 42mm configuration will now be available for $299 as opposed to $399. The more expensive 38mm Apple Watch Stainless Steel with the Sport Band will be available for $449 – down from $549, while the 42mm configuration will set you back $499, compared to $599. Those opting for the more premium Apple Watch with the Milanese Loop will be able to get the 38mm configuration for $549 – down from $649, while the 42mm watch can be grabbed for $599 compared to the original $699 price tag. The deal also includes the additional benefit of getting shipped directly to the consumers home or place of work entirely free-of-charge. Retailers, including Best Buy, have discounted the Apple Watch in the recent past by as much as $50, or have even thrown in gift cards and additional incentives to sweeten the deal. We did see Best Buy offer the Apple Watch with a $100 discount through a promo code and limited to stainless steel version, but that offer was only limited for a day. However, this straight up $100 discount is the best off the shelf purchase option that we’ve seen in a while. We find ourselves at that point of the year when we spend the most money on gadgets and other gifts, but also need to save as much money as possible due to the consistency of the outlay required over this time. 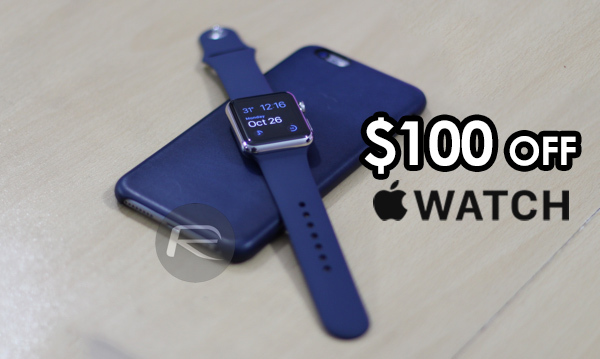 To that end, if you do decide on purchasing an Apple Watch and take advantage of Best Buy’s seasonal goodwill, then it would be perfectly acceptable to use some of those savings to grab a little accessory to accompany the Watch.